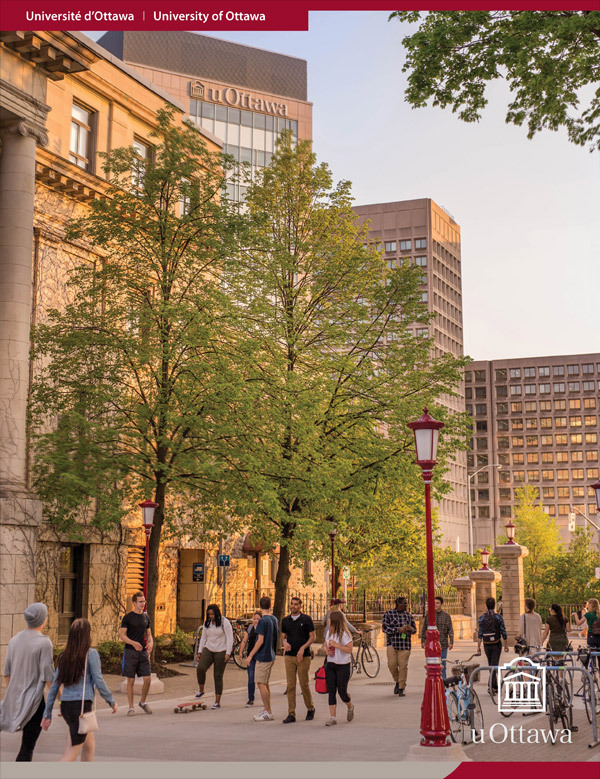 The Financial Aid and Awards Service encourages University of Ottawa students to fulfill their dream of pursuing postsecondary education. The Service accomplishes this by providing students with access to a variety of financial resources, tools and information; by rewarding academic excellence with awards; offering valuable expertise on government loans and creating job opportunities for students through the Work-Study program. These services are available to students who are paying tuition to the University of Ottawa. The information published on this website is not the official reference for Financial Aid and Awards policies and regulations. Amounts are in Canadian dollars and on fees for the 2018–2019 academic year. They are subject to change without notice. Learn more about your tuition fees. Meal plans are included in fees for residences where a plan is mandatory. Fees vary according to choice of 5-day ($4,480) or 7-day ($5,180) meal plan. Learn to be resourceful, establish your financial independence and create and stick to a workable budget so you can graduate with as little student debt as possible. Find out how to prepare for student living. Avoid being faced with a financial crisis. Find solutions for resolving a financial crisis. Financial crisis: If you feel as though you’re sinking into financial despair or have been the victim of a crime or another incident that is creating financial hardship for you, make an appointment with a financial aid counsellor by phone at 613-562-5734 or in person at Desmarais Building, Room 3156 (map). We’ll evaluate the urgency of your situation and will do our best to get you the help you need. Please note that Financial Aid and Awards will open at 10:15 a.m. on Wednesday, May 1, 2019 and be closed all day on Friday, May 3, 2019. Financial aid and awards is part of Enrolment managememt (EM).